When buying a manufactured home, there will be certain things you will want to consider to ensure you get the house that best fits your family and that you get the best deal possible. 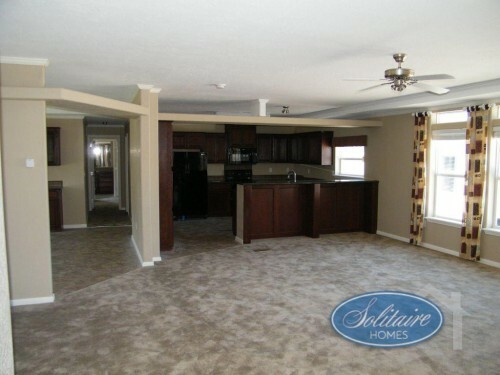 Luckily, here at Solitaire Homes, we offer only the highest quality homes, and with these helpful tips, you can buy one of our single section or double section homes for sale. 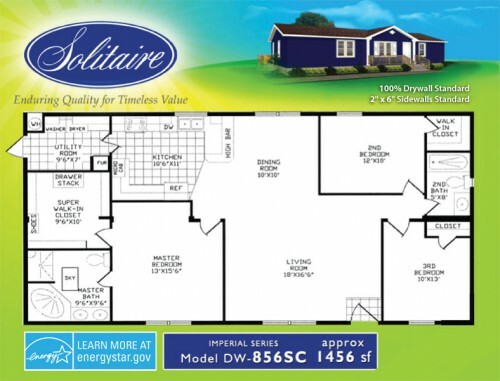 Find the perfect manufactured home for your family! Finding the perfect home for your family starts with knowing exactly what you want and looking around at the many different floorplans offered. Be sure to take into account the size of your family when picking things like number of bedroom and bathrooms. You will also be able to pick features such as a spacious open floorplan, entrance foyer, and much more! By knowing what you want, you will be able to look through our numerous options for exactly the design to fit your needs. One of the best things about buying from us is that we have the best construction practices of any manufactured homes on the market today. Therefore, we can keep our prices down while still offering the best models available. And you can actually see the price of our homes and the how much they are actually worth with our comparisons page, so before buying, you will know all you are getting for less money. Cash- You are always welcome to pay for your home outright with cash in hand. Chattal Financing- With a downpayment of 5% to 20%, you can get a loan that only affects the home and is not tied to the land it will be placed on. Land in Lieu- If you do not want or have a down payment, you can offer the land where the home will be placed as collateral to obtain your financing. Your Bank- Many people already have a local bank they work with and trust, so feel free to secure your funds this way. FHA Mortgages- We, here at Solitaire Homes, also have the ability to help get you an FHA mortgage if that is the route you wish to go. With our many manufactured homes with multiple options for financing available, buying your home will be a breeze. To learn how to find the best one for you, be sure to contact us or stop by any of our locations today!